We’re taking a look back at 2009. What Cheering the good and What Jeering the bad. No doubt, 2009 has been a rough year, but the arts community in Providence has helped keep our spirits up. 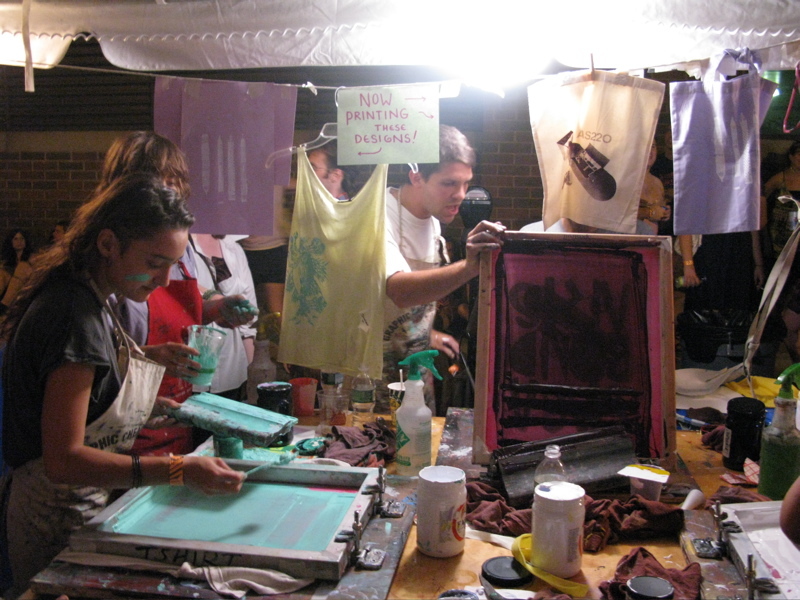 From SoundSession to FirstWorks, Wooly Fair to Foo Fest, not to mention all the galleries around town, the small venues, the art sales downtown and elsewhere… The arts have been there for us in 2009. This fits in the Arts, but demands it’s own What Cheer. 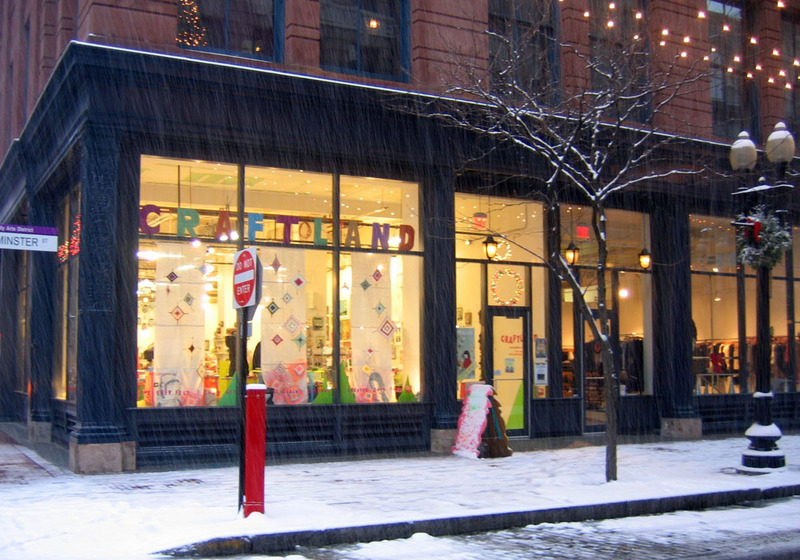 Craftland is a Providence institution and a national model for bringing artists and crafters to the public. Seeing them become a year-round presence in the city was definitely a highlight of 2009. The quasi-governmental Greater Kennedy Plaza Working Group has transformed the plaza this year. 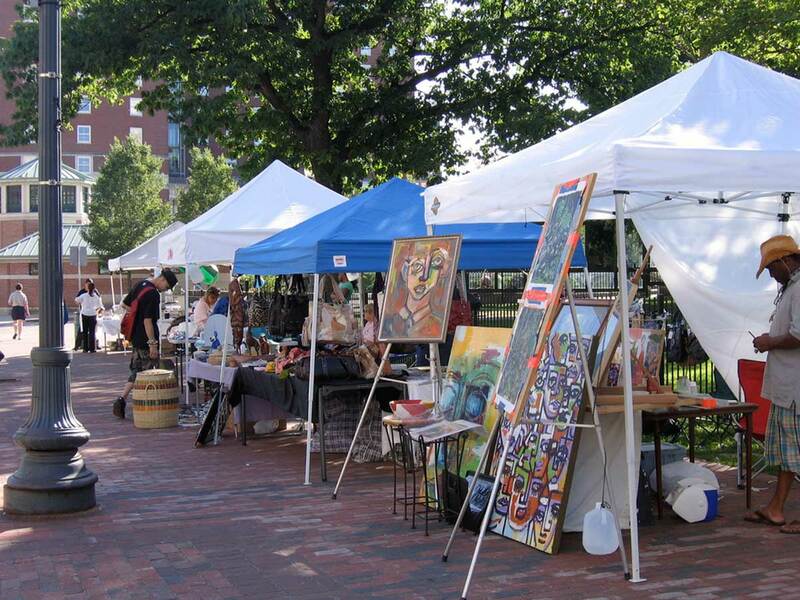 The plaza has become home to weekly events such as the summer music and beer garden at Burnside Park, Public Square Tuesdays, fitness classes, farmers’ and flea markets, and more. Public seating has been placed in Burnside Park and the area around the Soldier & Sailors Monument, banners and landscape maintenance has improved. The changes in the plaza to a mixed use space have also resulted in a dramatic reduction in crime in the area. Greater Kennedy Plaza has had a great 2009, here’s to an even better 2010. The Iway work has made the India Point Park area pretty difficult if not downright impossible to get to, and while the pedestrian bridge actually opened in late 2008, this was our first full summer of access to the park. The Community Boating Center was glad to have access returned and had a banner year. 2009 also saw the 4th of July fireworks taking place at India Point. While there were some traffic issues and some shuttle buses might have been helpful, the fireworks on the water was awesome. There’s still some accessibility issues at the western end with new roads still needing to be configured properly, but as the old 195 comes down, access to the water will get even better. We’re calling it now, 2010 will be “The Year of RIPTA.” While the streetcars got all the attention when the study was introduced (and streetcars are wicked cool) there’s a lot in the study that will improve transit in the Metro area. New buses will be joining the fleet in 2010, expanded park and ride facilities to allow choice riders to use the system, the Rapid Bus service launching on Routes 11 and 99, new sub-hubs, redesign of Kennedy Plaza, more service on existing bus routes, and more. The leaders of the cities within the study area are fully on board (so to speak) and opinion is turning in the Assembly in favor of transit. Rhode Island is starting to understand that it has no room for highways and robust transit is needed to fuel our economy. 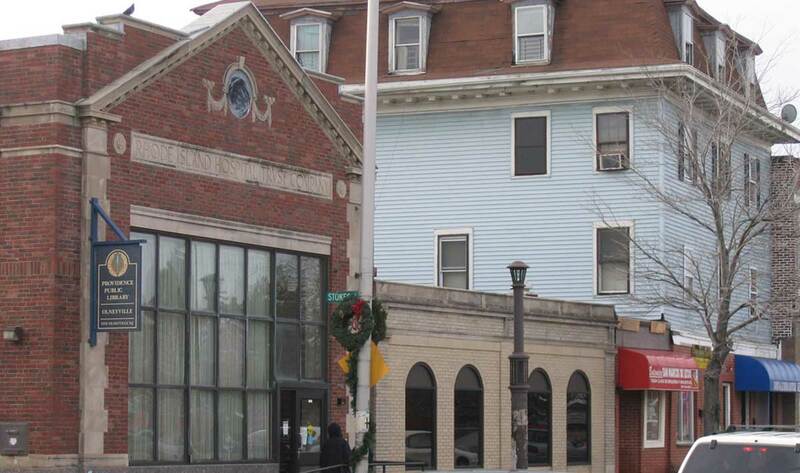 Not to be confused with the Providence Public Library (which is not getting a What Cheer), the Providence Community Library took over the branch locations (less the main branch on Empire Street) of the public library system in July. As we wrote in June, the library situation has been confusing and vexing for some time. The Community Library has saved the neighborhood branches (even re-opening one in Washington Park), ensuring that people in the neighborhoods have access to libraries. 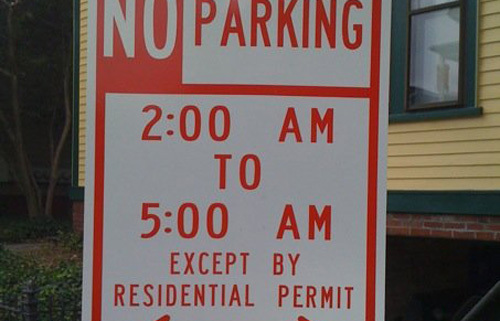 The city allowed grown ups to park their cars on the street all night long (in a portion of the West Side anyway). And no one burst into flames. And it was good. 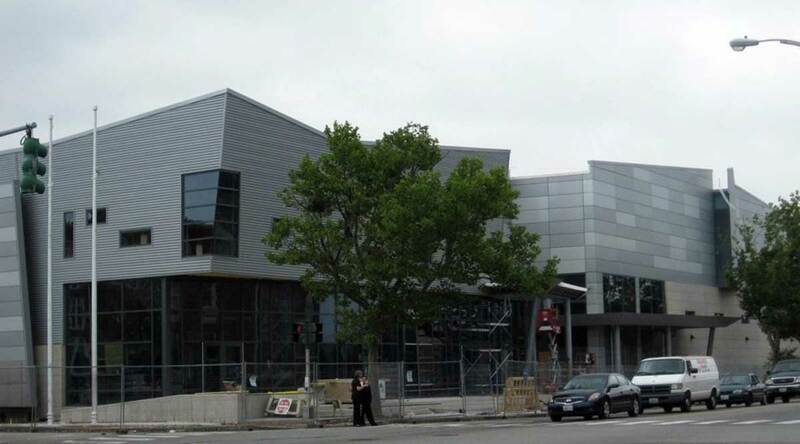 The new Providence Career and Technical Academy is an amazing addition to our city’s schools system. Check out our site tour from July here. Where the Downcity Diner used to be sits a vacant lot. Once upon a time the owner of said lot proposed parking cars there. Then someone suggested building a little liner building at the street. 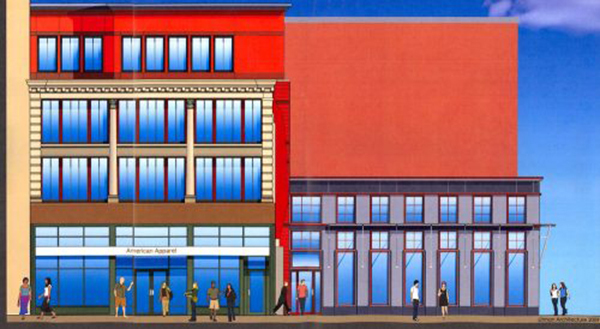 The owner said, “OK.” And the Smith-Mathewson Building was born (or is being born). Perhaps some other property owners will take note. Look out, cheeze alert. Our webstats are way up this year on views and comments. Knowing that people are reading makes all this posting all the more worthwhile. We’ve also had some excellent photos shared in our Flickr Group, lots of fans on our Facebook page, and many readers sending us good tips. It was also great meeting many of you at the Providence Blogosphere Holiday Spectacular earlier this month (we’re hoping to do more of that in the future, not just at the holidays). So thanks to you for making 2009 great. We’re looking forward to 2010. 2009 was a rough year for ‘lil Rhody. No doubt pages could be filled with What Jeers, but we’re not going to go there. We all know things weren’t perfect, but let’s end the year on a high note. Please feel free to add your What Cheers and What Jeers for 2009. No Jeers? You’re going soft up there without me. What Jeer: Closing the indoor prostitution loophole rather than legitimizing it, regulating it, and taxing it. Instead, the state and city spend more money prosecuting and jailing people for it, when they could be making money off it. General Assembly FAIL (and why I won’t vote to re-elect my state rep, who sponsored the bill). What Cheer: PRONK!, and specifically What Cheer? Brigade’s set under the new bridge. What Jeer: Taqueriagate. I wants me a Taqueria Pacifica burrito!